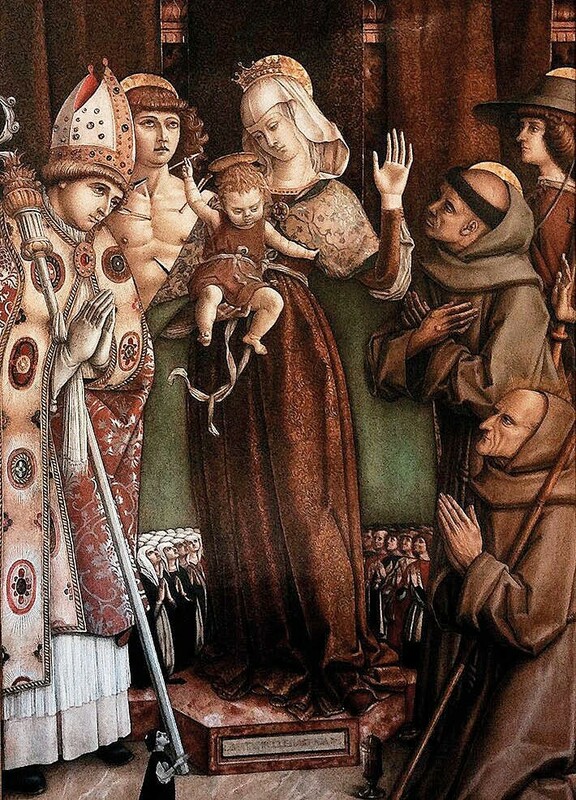 'The Virgin and Child attended by Saint Sebastian, Saint Roch, Saint Emidio, Saint Francis and Jacopo della Marca' by Carlo Crivelli. The oil on panel dating from 1487 by Italian painter Carlo Crivelli (c.1430- 94), owned by Portuguese businessman and racing driver Miguel Pais do Amaral, had been sold to a UK dealer in 2012. However, both its departure from Portugal – and the state’s retrospective attempt to block its export – proved controversial. Pais do Amaral sold the picture, via a Paris intermediary, for a sum in the region of €4m. Portugal’s secretary of state for culture at the time, Francisco José Viegas, agreed to an export application. The picture was transported to the UK where another export application was made via Christie’s to export it to the US. A license was granted by the Arts Council but it was never used after the owner subsequently decided against taking the work to auction. However, in 2013, Viegas’ successor as Portuguese culture minister, Jorge Barreto Xavier, repealed the decision to grant the original export license. It was claimed it had been granted in error, citing “procedural aspects” including that the work had been protected from export under Portuguese law since 1970. An internal investigation in Portugal also questioned whether Pais do Amaral had complied with documentary requirements, met legal deadlines and had a valid contract with the ‘final purchaser’. By this time, following research and restoration, the Crivelli had been resold to an important overseas collector. ATG understands that the work is now valued at €9m-12m. Due to the Portuguese claim, the UK dealer and their client brought in Art Recovery International (ARI), a firm that specialises in resolving complex art related title disputes, to act on their behalf. 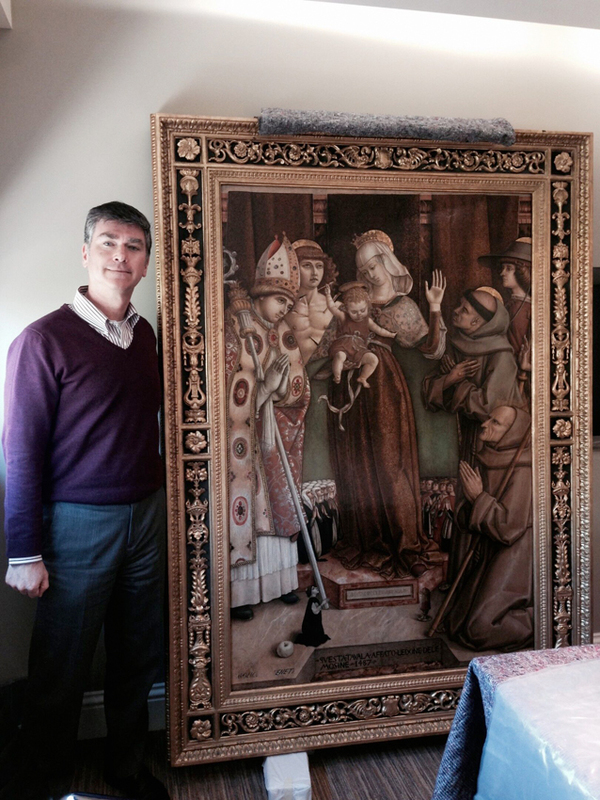 CEO of Art Recovery Christopher Marinello with the Carlo Crivelli painting. After two years chasing an agreement, Marinello wrote to the Portuguese Ministry of Culture demanding that it ends its interest in the painting or his clients would seek “significant compensation”. Marinello has recently received written acknowledgement from the Portuguese Ministry of Culture that any restitution request has now expired. It states that any attempt to demand the return of the work expired in April 2015, with the new owner now free to enjoy their painting. As further confirmation, Marinello has also received a letter from the National Museum of Art in Lisbon asking for the work to be loaned for an exhibition. ATG contacted the Portuguese ministry of culture but had yet to receive a comment at the time of going to press.